Martian Metamorphoses: The Red Planet in Ancient Myth and Religion is a soft cover book of 230 pages by Ev Cochrane, a member of the Kronia Group. Earthlings have long been fascinated by the planet Mars. Well before modern science fiction speculated about advanced civilizations upon Mars and the dire threat of invasion by little green men, the red planet was regarded as a malevolent agent of war, pestilence, and apocalyptic disaster. In an attempt to appease the capricious planet-god, various ancient cultures offered it human sacrifices. What is there about this distant speck of light that could inspire such bizarre conceptions culminating in ritual murder? And how do we account for the fact that virtually identical beliefs are to be found around the globe, in the New World as well as the Old? The present book will seek to address such questions. For untold millennia prior to the advent of scientific astronomy and well before there were any records which could properly be called historical, human beings recounted myths surrounding their favorite heroes and gods. Prominent themes in these sacred traditions include the Creation, the Deluge, the wars of the gods, and the dragon-combat. Despite the passage of time and the destruction of countless cultures, such myths were committed to memory and told again and again primarily because they represented sacred knowledge regarding the history of the world. Until recently, however, such traditions have been given short shrift by scholars in general and all but ignored by mainstream science. This is most apparent, perhaps, in the modern astronomer's faith that more can be learned about the recent history of our solar system from running computer simulations than from considering what our ancestors had to say on the matter. If we are to overcome this modern prejudice and properly evaluate the ancients' testimony, how best to proceed? From a methodological standpoint, it is possible to investigate the ancient reports surrounding Mars from several different vantage points. The most obvious is to collect and analyze the ancients' observations and traditions with regard to the various celestial bodies. This task was begun in the last century and is now well under way, forming a central concern of the burgeoning science of archaeoastronomy. As the title attests, this book is fundamentally an exercise in comparative mythology. Our subject of study is the figure we have designated the "warrior-hero." It can be shown that a vast corpus of myths surrounding this figure survives from virtually every corner of the globe, such traditions being traceable in the most ancient literature as well as in recently collected oral accounts. Many of these myths are still with us today, forming prominent themes in modern cinema. Some will be familiar to our audience—those surrounding Heracles, Perseus, Odysseus, and Samson, for example. Others, such as the mythological traditions associated with the names Nergal, Indra, Thor, and Cuchulainn—although equally compelling—will perhaps be new to the reader. 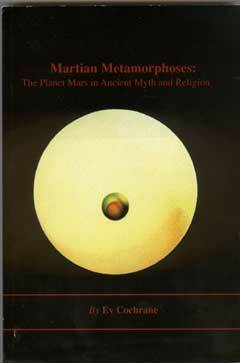 It will be argued that many of the greatest mythical themes reflect ancient man's obsession with the red planet. Indeed, we will attempt to show that Mars' prominence in ancient consciousness is directly attributable to the peculiar behavior of the red planet, which only recently participated in a series of cataclysms involving the Earth and various neighboring planetary bodies. If our thesis has any validity, it follows that the orthodox version of the recent history of the solar system is itself little more than a modern "myth" and stands in dire need of revision. With implications this far-reaching, the ancient traditions surrounding the planet Mars suddenly take on new significance. We begin with the cycle of myths associated with Heracles. 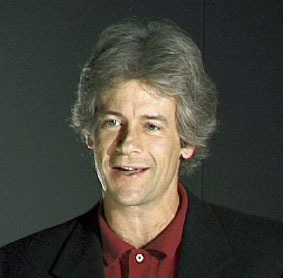 1 E. Cochrane, "Heracles and the Planet Mars," Aeon 1:4 (1988), pp. 89-106; Idem, 'The Death of Heracles," Aeon 11:5 (1991), pp. 55-73.